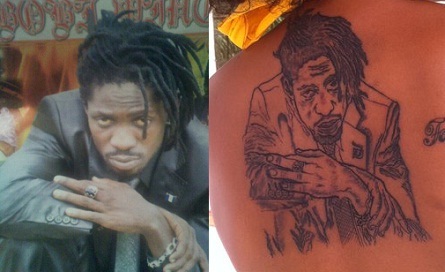 Barbara Itungo Kyagulanyi aka Barbie - has Bobi Wine's portrait inked on her back followed by the word forever. This is another way of saying; I will love you forever and ever. A few months back, there were rumours doing the rounds that the couple was on the verge of breaking up but Barbie came up and said what she uttered 12 years back that she is here to stay. 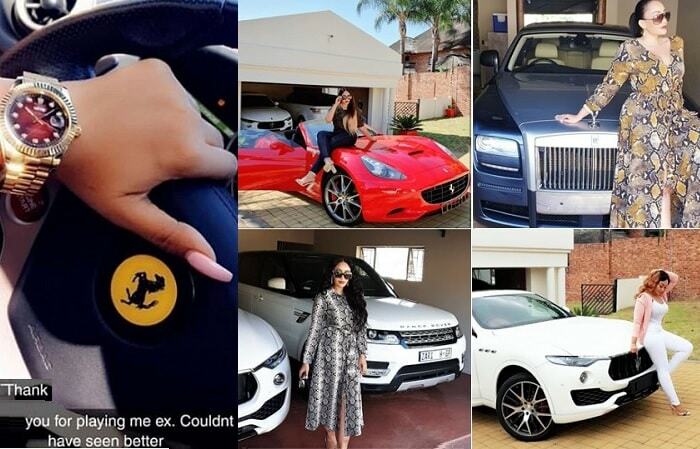 Bad Black - Then came Bad Black who was better referred to as Mad Black by the way she used to spend before her source of dime came to the lime light. 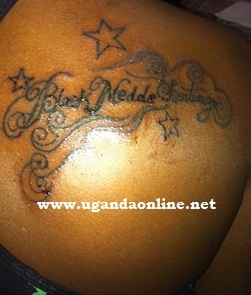 Bad Black was in love with Meddie and felt that the best way to prove her love was to ink her body with Meddie's name. Bad Black dashed to a fake tattoist who simply used a marker to come up with a fake tattoo and got quite an amount. Shanita later identified an authentic source that inked Meddie's name on her back. 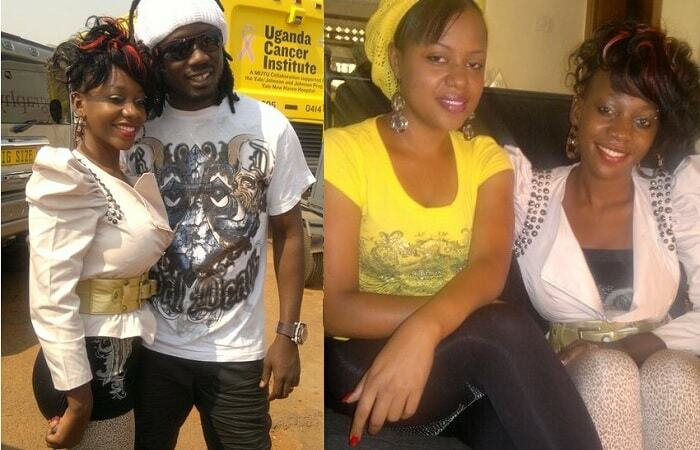 Meddie is still in jail though and Bad Black is a fugitive suspected to be in Malaysia. It's not clear if that huge tattoo on her back still exists as the two fell out badly. Juliana Kanyomozi on her arm with name inscriptions of her dad, Gerald and her son Keron. In her latest profile on NTV, you can see Maurice Ochol caressing it in admiration. Zari's Tattoo - Is a combination of 10 stars and initials of her three sons PDQ - Pinto, Didy and Quincy plus one of a coloured flower on her legs. 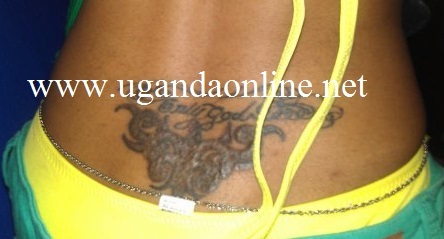 Other tattoos on her body, Isaac Lugudde might be of help here. Isaac Lugudde - The Big Brother hopeful has so many tattoos on his body that there's hardly any space left though he says, should he go to the Big Brother House, he will add more tattoos to do with Big Brother Africa. A few months back when Lugudde was still dating Zari, he put 'The Boss Lady' tattoo on his ribs followed by a verse from the bible Gen 2:18 which says that: "It is not good that the man should be alone; I will make him a helper fit for him." 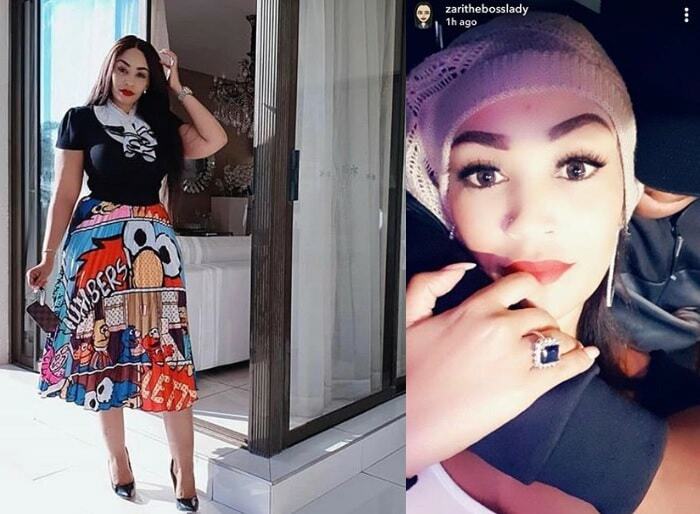 but the two have since split and moved on with Zari bouncing back to the father of her three kids as Lugudde hooked up with a one Cynthia.